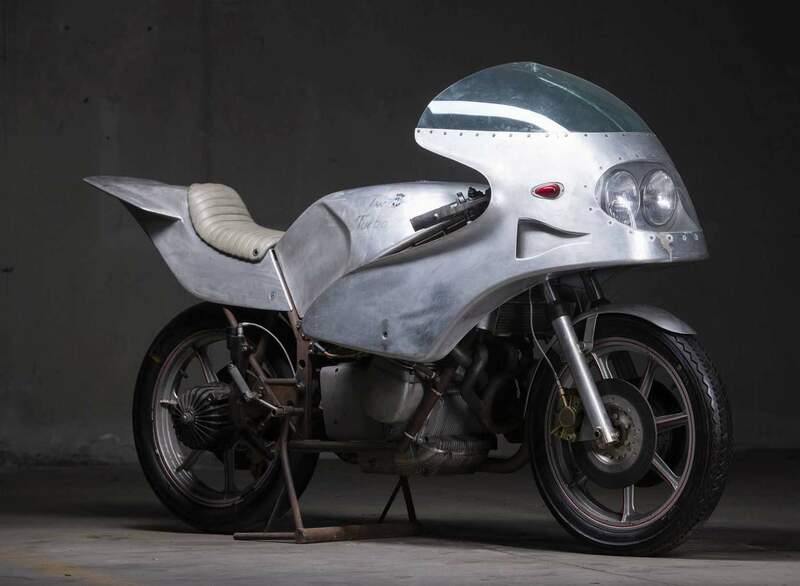 When MV Agusta was preparing the iconic 750 America in the mid 70's, a separate team of engineers were working on a prototype for a possible future production model, the MV Agusta 750 Turbo, which unfortunately never saw production. 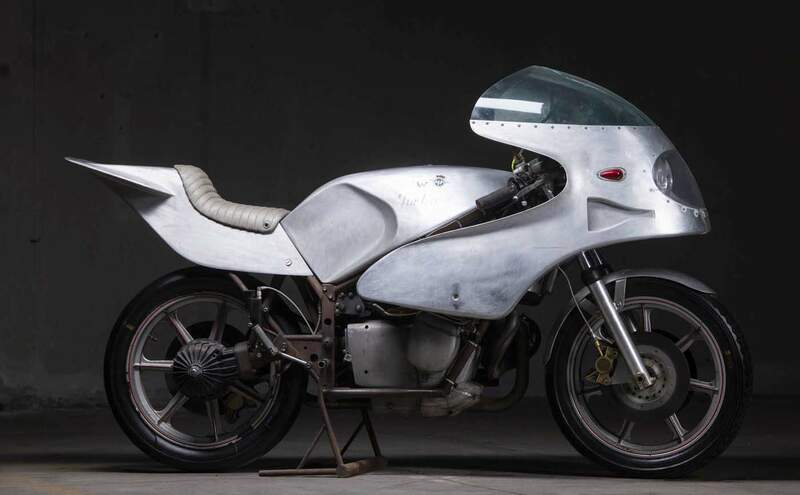 The Japanese would experiment with turbocharged motorcycles in the late 70s and early 80s, but this prototype pre-dates them all - keep in mind this was 1975! 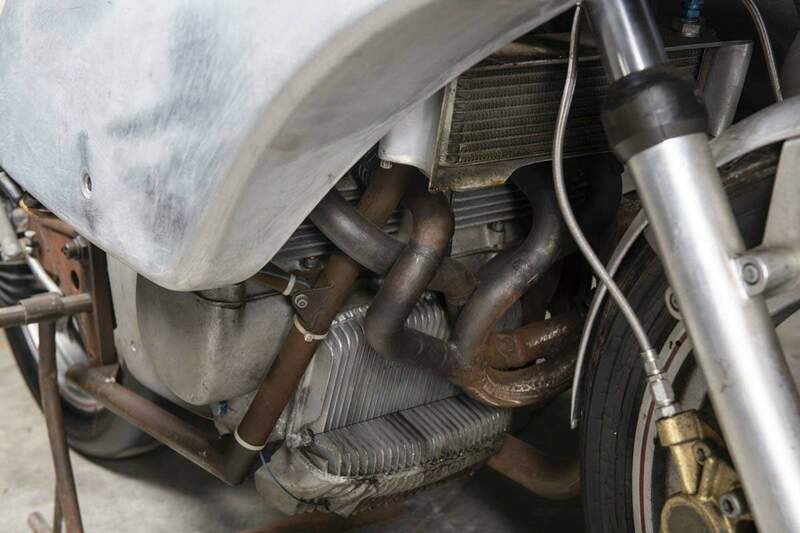 The 750 Turbo Prototype has a bored out 830ccs inline-4 cylinder DOHC engine, and the oil sump was enlarged and the oil pump fitted for the turbo system was developed. 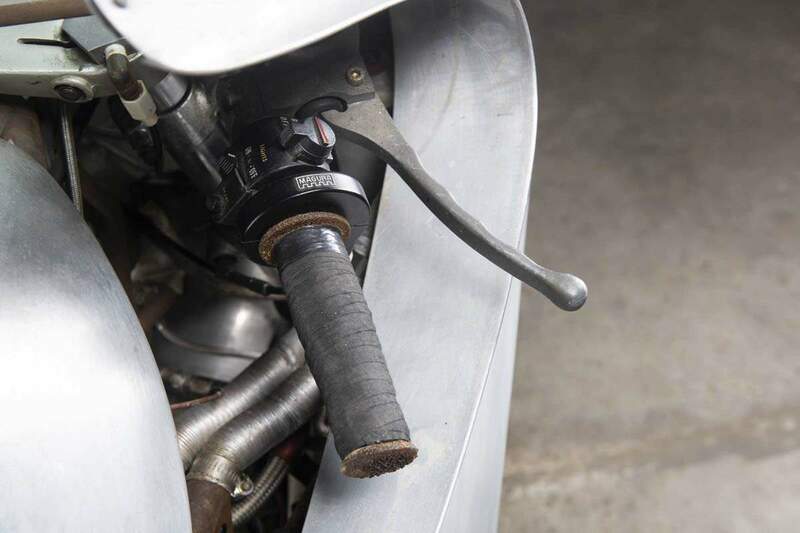 Lightweight pistons, a custom set of four titanium connecting rods and intake valves and sodium-filled exhaust valves were fitted, where all were coated in an aerospace-grade, heat-dissipating plasma coating to help keep the cylinder head from overheating. 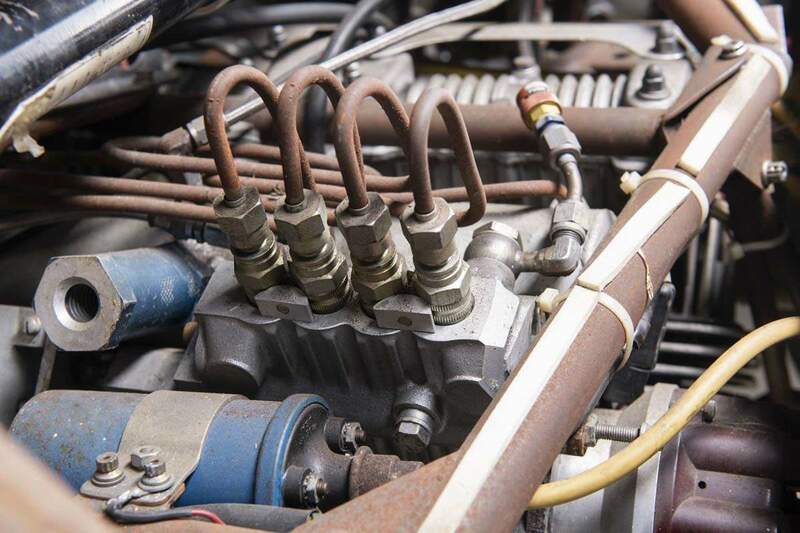 A set of twin turbos was fitted, one for lower range power, and the other for higher RPMs, and a custom exhaust manifold to reduce turbo lag. 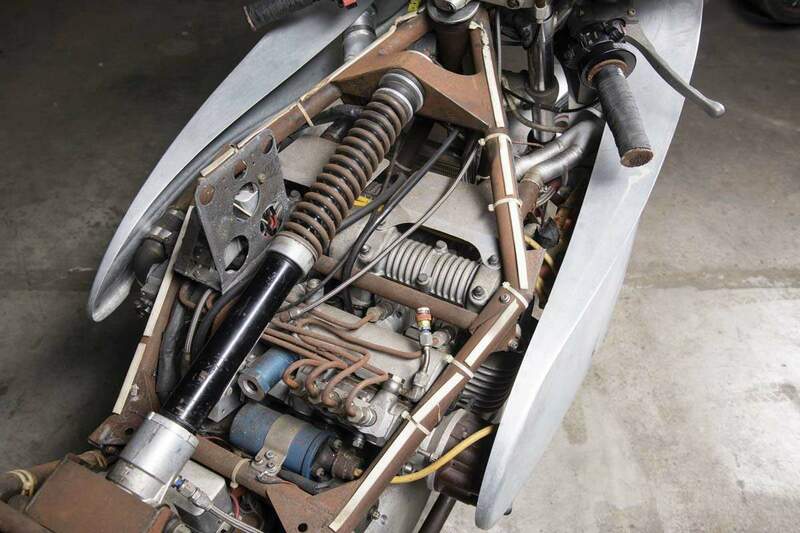 Mechanical fuel injection was fitted along with a digital ignition system. 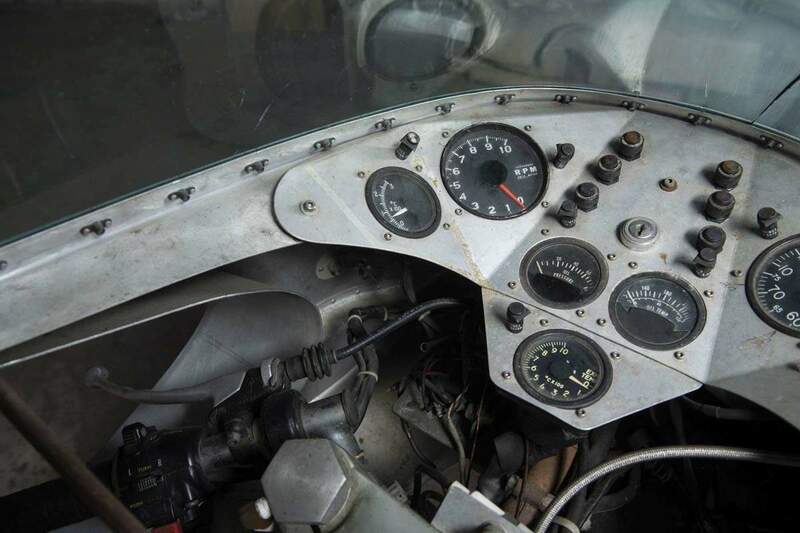 Maximum rpm was set to 10,000 with a compression ratio of 12.5:1 using 105-octane fuel. 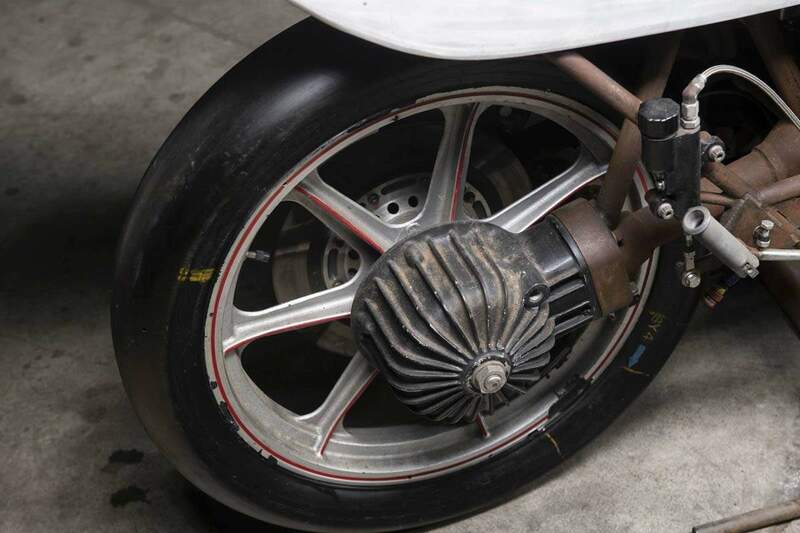 The prototype had an acclaimed 150hp and a top-speed of just over or 300km/h / 186mph. 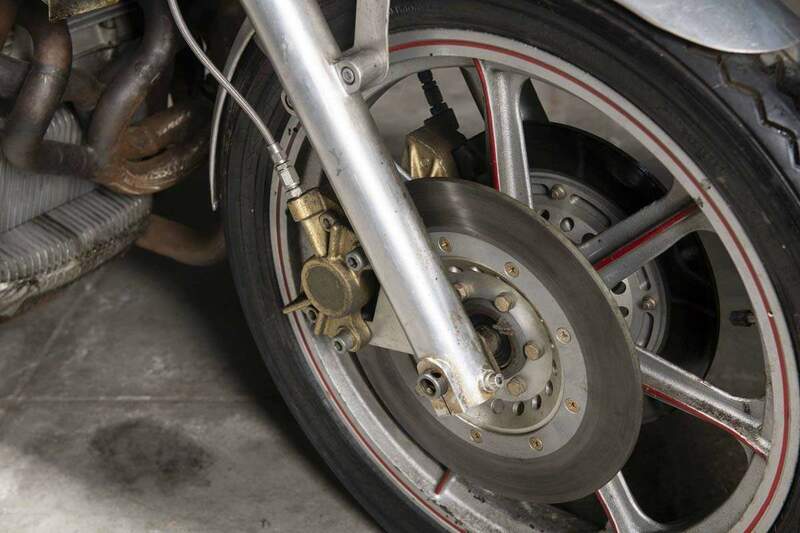 Braking is handled with twin front rotors and a single unit on the rear, suspension consists of a monoshock rear (fitted up under the tank) and traditional telescopic forks up front. 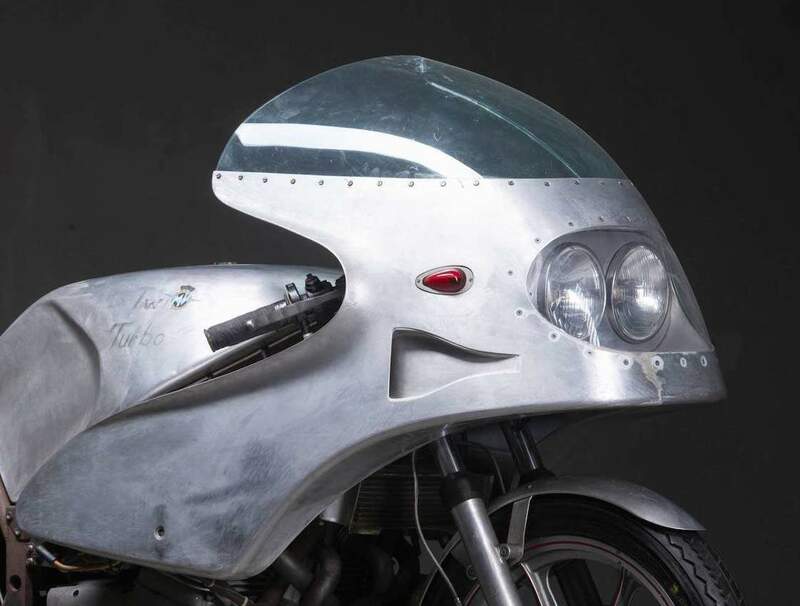 It has twin headlights sunken behind a clear cover, keeping the fairing’s nose smooth and an absolutely amazing dashboard. 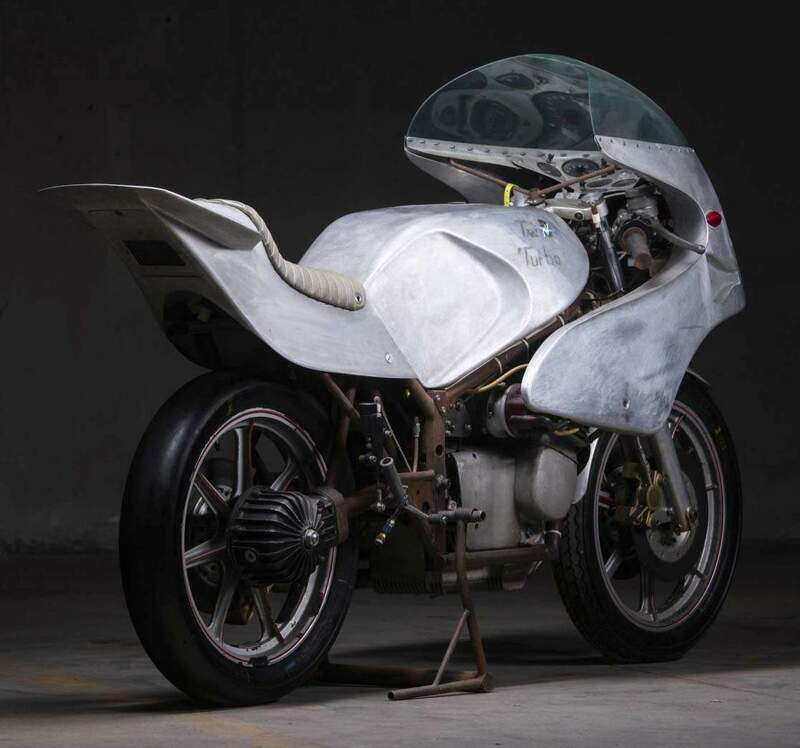 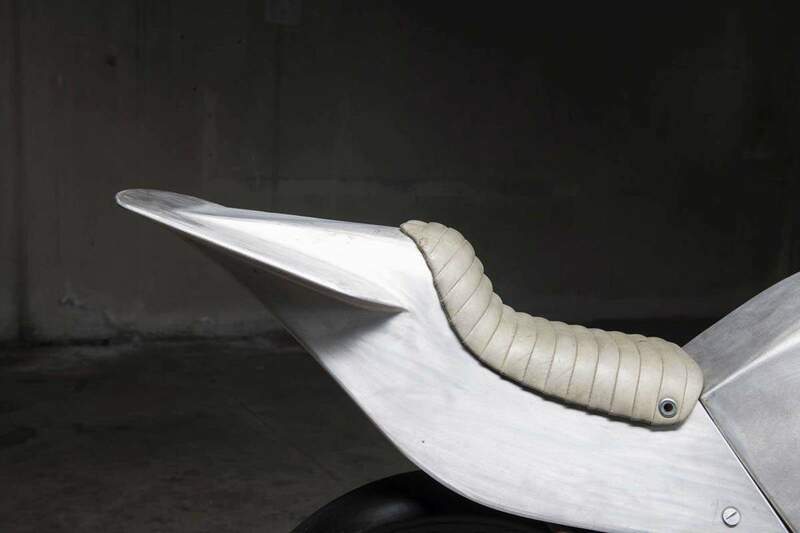 The prototype featured an aluminum hand made aerodynamic half-fairing and bodywork, a custom made knee-dented fuel-cell, and a white leather single seat with a sharp angular tail-section.